ALMS LGBTQ+ Conference 2016 logo, with big thanks to Alex Long for the design. [Image: Alex Long 2015]. The last few months have been mostly typing, editing and coffee drinking as I finish up my thesis. In that time I’ve not been able to keep blogging, but I’ve been involved in some exciting public history events that I’d like to share. 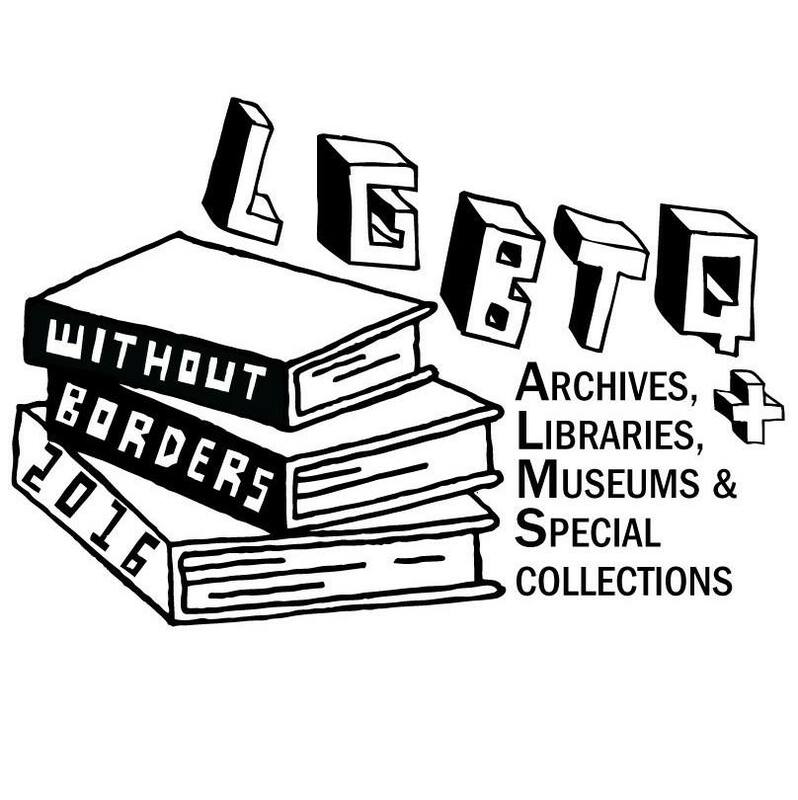 I’m part of the steering committee for the Archives, Libraries, Museums and Special Collections (ALMS) LGBTQ+ conference taking place next year (21-24 June 2016), and we’re really excited to announce registration for tickets is open! The conference will be taking place across 3 venues in London: Bishopsgate Institute, London Metropolitan Archives and the University of Westminster. Your conference ticket includes access to the 3 days across the 3 venues, and also includes a welcome reception on the Tuesday evening. You can register on the Bishopsgate Box Office here. We’ll be updating our Facebook and Twitter pages with information about speakers and events taking place as part of the conference. We’ll also be sharing updates about the event using #ALMS2016. A shiny new conference blog will be coming soon too, so watch out for that. There’s still plenty of time to get abstracts in to present at the conference, and the call for papers with information on how to submit are detailed below. Abstracts, which are due 8 January 2016 should be sent to Jan Pimblett. Do get in touch if you have any questions. I’m really excited to be working on this and am really looking forward to what promises to be a lively and exciting conference. The ALMS conference 2016 is being delivered on a not-for-profit basis by London Metropolitan Archives, Bishopsgate Institute and the University of Westminster in order to encourage dialogue and share knowledge in LGBTQ+ histories and cultures. The conference is not being funded as part of a wider project and the organisers are unable to cover speakers’ costs except in cases where keynote or invited speakers are prevented from attendance for financial reasons. A limited number of bursaries for attendees will be made available at the beginning of 2016.